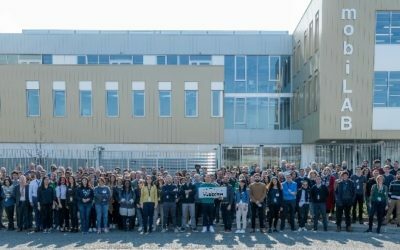 The VEDECOM Institute and BLUE2BGREEN have joined forces in an unprecedented partnership in Europe to offer the most extensive range of training and consultancy in electric vehicle charging. The aim is to support the development of electric mobility, 2018 being a record year for electric vehicles with new registrations reaching over 25%1. 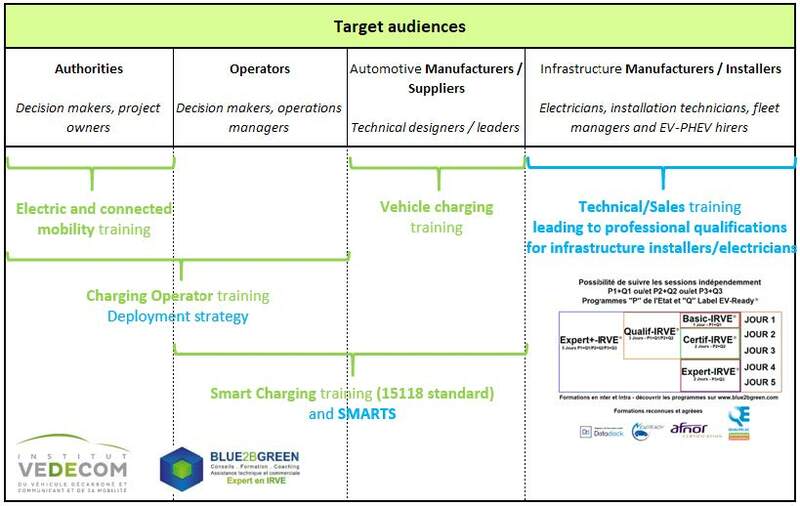 This comprehensive and unique training offer is aimed at all electric mobility players, including authorities, operators, car manufacturers and infrastructure companies. Suitable for all profiles, from job seekers who are re-training to R&D engineers, it addresses every issue connected with vehicle charging. 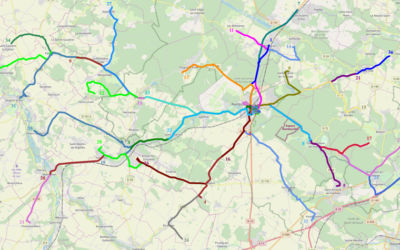 Through this collaboration, VEDECOM and BLUE2BGREEN wish to create a strong synergy to assist the electric mobility ecosystem with strategic issues, basic techniques, standards and regulations and decision-making tools in the field of vehicle charging. VEDECOM lends its expertise in strategic vision and the technical challenges, while BLUE2BGREEN contributes its own expertise in installation, deployment strategy and the sale of charging infrastructure. It is this combination of complementary expertise which is the strength of this unique partnership. By training mobility players and facilitating the implementation of technological breakthroughs, VEDECOM and BLUE2BGREEN wish to play a part in the marketing of electric vehicles and equipment, accessible to as many people as possible. There are many issues connected with the development of these clean vehicles, including reducing energy consumption and greenhouse gas emissions and improving urban air quality. Against this background, enhancing skills for the deployment of charging solutions is a strategic factor. 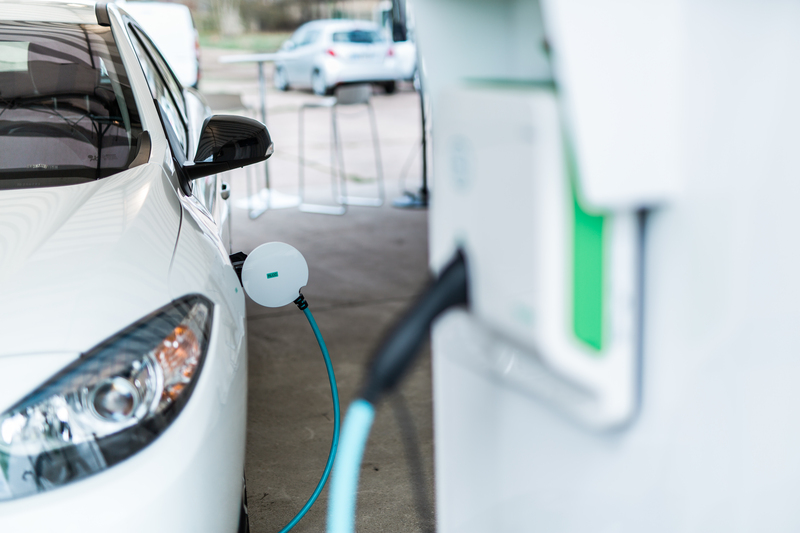 Today there are 23,000 charging points in France available to all, spread throughout more than 10,000 stations2, and the French government is committed to installing 100,000 charging terminals available to all by 20223. Training the mobility players is therefore crucial.